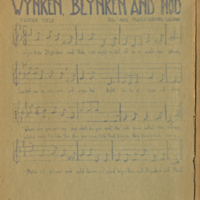 Page 68; A single page from the music book 'Our Own Melodies' and an audio recording of the melody. Wilson, Dorothy. 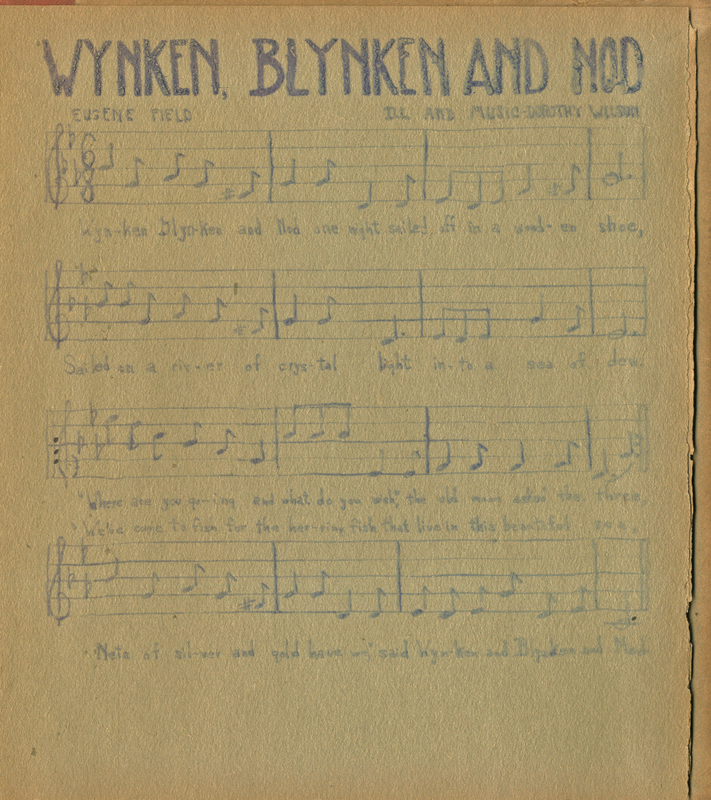 “Wynken, Blynken, and Nod.” Our Own Melodies. WCSU Archives, 12 July 2018. Accessed on the Web: 18 Apr. 2019.